Having spent 100 over hours researching Tengah, I shall present my findings here and ask for opinions. Plantation District: the home of community farming, with a Community Farmway running through the precincts. There will be opportunities for facilities like organic markets and farm-to-table dining. Garden District: framed by Tengah Pond and Central Park. This picturesque setting will be complemented by the garden-themed farmway where healthy and active living will be encouraged. Forest Hill District: surrounded by the Forest Corridor and greenery and is stone's throw away from the Town Centre. This is the first BTO launch in Tengah, Singapore's first new town in more than 20 years since Punggol. This BTO launch will offer 1,620 units of 2-Room Flexi, 3-Room, 4-Room, 5-Room and 3Gen flats. Bounded by the Kranji and Pan-Island Expressways, Bukit Batok Road and Brickland Road, Tengah is located between the existing towns of Jurong East, Choa Chu Kang and Bukit Batok. Tengah is expected to grow to about 700 ha, roughly the size of a Bishan town, and to be fully developed into a town with 42,000 new homes in two decades. 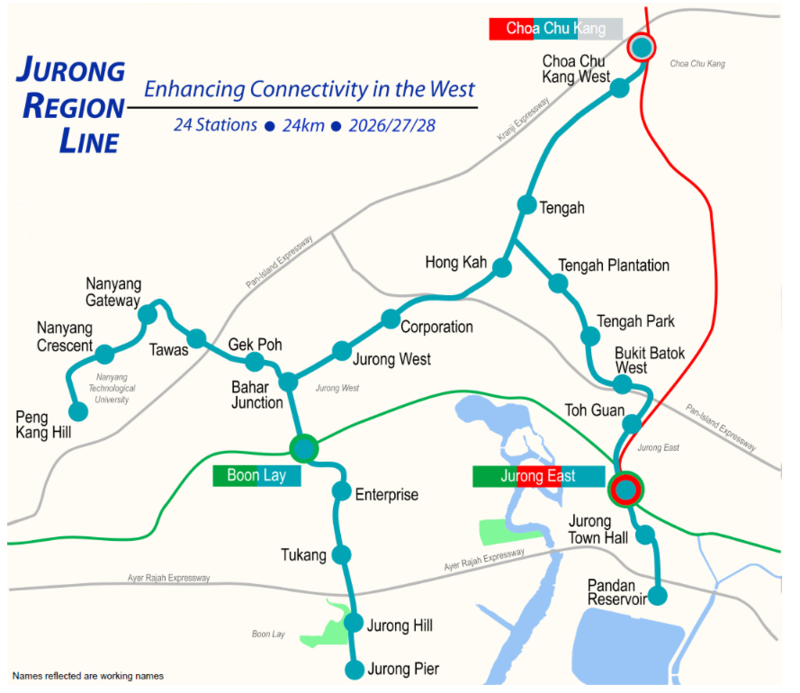 Note that Tengah will be the central interchange for JRL (West) and JRL (East). This line is confirmed to be above ground. Red represent a dedicated bus road. Details unclear whether cars can be allowed on the same road. Yellow will be a dedicated express road for PMDs. 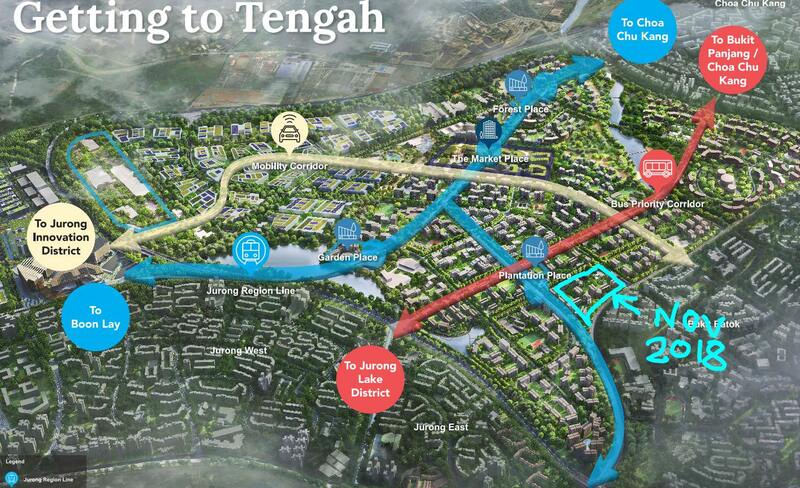 There will be dedicated walking and cycling paths on both sides of the roads in Tengah. Buses are planned to facilitate connections to amenities and to nearby MRT and workplaces. IIIUSION, kiatme, Fatpat and 1 others like this. Last edited by kingboonz; 28-09-2018 at 10:37 AM.. The land has been cleared. HDB stated the NOV 2018 flats will be ready in 4-5 years. 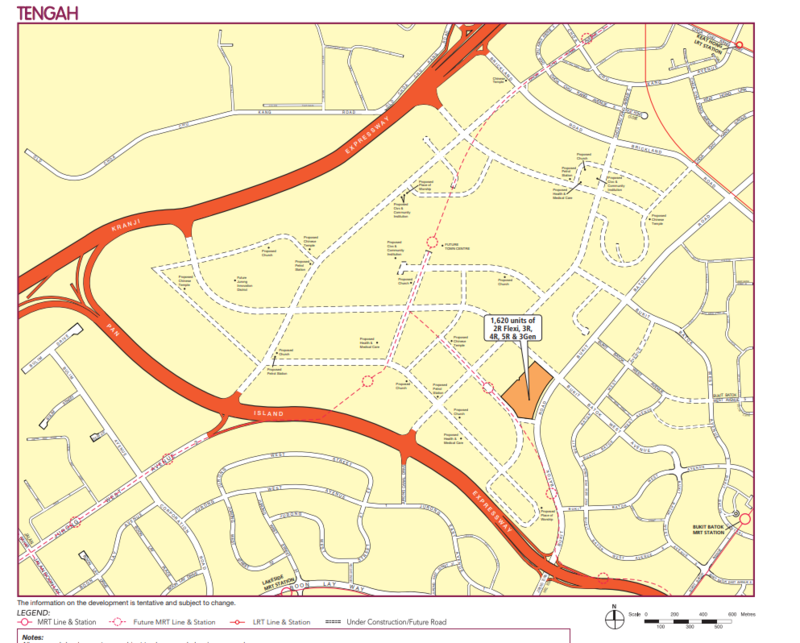 It will be 100m to 460m away from the Tengah Plantation MRT. It will be next to the Tengah Plantation Neighbourhood Center. (i.e) There will be a small shopping mall, Community Club, food center. It is 270m - 600m away from a proposed childcare and school. There will be a vertical strip of land for farming called the plantation farmway. It is next to Bukit Batok road, a medium busy road. It is 500m away from Dulwich college, an international school catering kids from ages 2 - 17. There is no sound of jets from Tengah Airbase as it is far away. Less than 3 minutes drive to PIE, which leads to major destinations. Far enough from PIE that there is no sound. Last edited by kingboonz; 28-09-2018 at 10:54 AM..
[PRO] Nov 2018 is directly next to Tengah Plantation MRT, which will link to Jurong East in 4 stops. [CON] Tengah Plantation MRT is not an interchange for JRL. You need to transfer trains at Tengah MRT (1 stop away) to go to Boon Lay/Choa Chu Kang/NTU. [PRO/CON] Nov 2018 is 300m away from the bus priority road, which I expect most major arterial buses should ply. [PRO] If you are able to cycle and if Tengah implements PMD/Bike sharing well, getting to major amenities like Town Center (Tengah MRT) will be around 3-5 mins. [CON] Only 1 nearby petrol station (Shell). Those that are being planned are quite out of the way. [PRO] 3-4 mins drive from PIE, which is a major plus. [CON] Are Singaporeans civic-mindedness enough to be able to organise communal farming? Or will the farming plots be an ugly gated community? [CON] No indication that roads will be underground for NOV 2018. Car-free vision is a myth. [PRO] The design concept of the childcare is attractive - A childcare with plenty of roaming spaces and a dedicated land instead of being cramped under HDB flats nowadays. [PRO] Space space and more space + greenery is what Tengah offers. 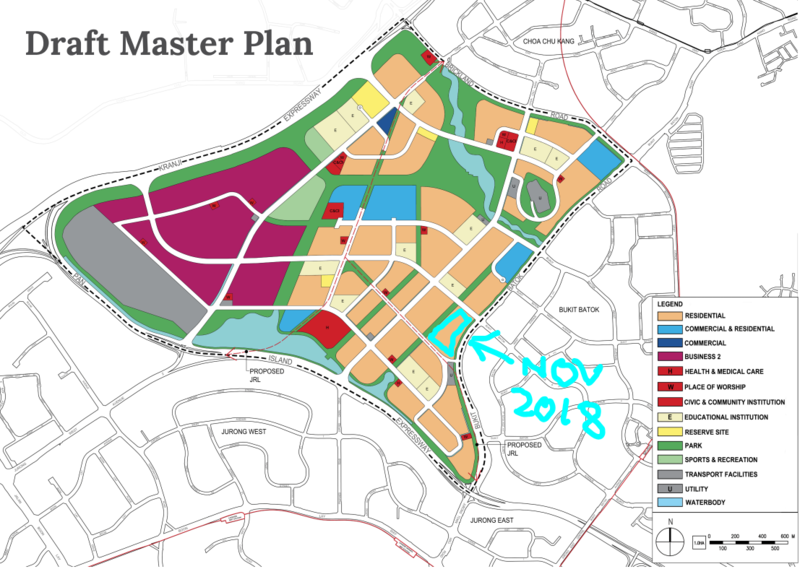 [CON] There should be a major mall 500m away from NOV 2018. [CON] MRT is aboveground and noise pollution/privacy will be a problem for some units. [PRO] Tengah Airbase is nearby but NOV 2018 is unlikely to be affected by the sound as it is too far. [PRO] Can Jurong Innovation District be the One-north of the west? [CON] People working in Jurong Innovation district will want to rent the homes nearer to JID. [CON] All things being considered, Tengah MRT is the town center of Tengah, not Tengah Plantation MRT. 2 massive shopping malls will be planned near Tengah MRT, which is a major transport interchange. There are 5 plots of land near Tengah MRT that should be more attractive for buyers that are not in a hurry to get a flat/looking to buy a HDB to flip years later. [CON] There are no top 20-30 primary/secondary/tertiary schools nearby within 2 km range. Bad for investment. [CON] There is nothing attractive about plantation district that appeals to young people. [CON] There is nothing major being planned for Tengah outside of JID - Don't expect any property effects spillover from Jurong Business District into Tengah - It is simply too far. Last edited by kingboonz; 28-09-2018 at 11:25 AM..
Tengah seems like a very liveable place if HDB executes their vision of a smart estate and a forest town properly. However, the first few flats will be an absolute guinea pig for this experiment. It can go south too. I believe there are better plots of land in Tengah that will be nearer to planned major amenities. (Near Tengah MRT). If you can wait a few more years (5-10 years) before BTOing, then go for Tengah MRT plots. If you can only wait for 1-2 more years, wait for a better plot in the Tengah plantation district. (I am eyeing the one opposite the current NOV 2018 plot, which should be in next year's exercise. If you must apply for this current one, it isn't a bad choice too. It is likely that there will be lesser and lesser BTO plots released in mature estates of the west in the future (i.e) Jurong, Clementi, Queenstown, Redhill, Bukit Timah. If you don't have good feelings about a property, you don't have to go for it. There will always be other opportunities. Last edited by kingboonz; 28-09-2018 at 11:38 AM..
Last edited by kingboonz; 28-09-2018 at 10:48 AM..
useful info bro. wondering why you feel the plot opp the nov 18 one is a better choice? Good job there, thanks and appreciate your time in writing up these useful info. Do you think for the next 2 years, all the BTO projects will only be for Plantation district? Or there will be release for Garden, Park, etc districts in between? 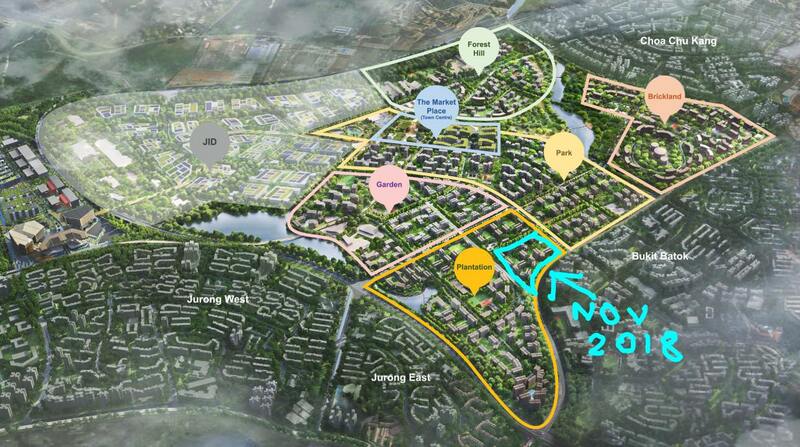 All plans on future bto on Tengah, I think will depends on take up rates for the Nov bto. If cannot get satisfied application how to launch future bto? So I strongly believe the Tengah bto will be cheap in pricing. I feel that it is nearer to the town center (cyclable distance) and directly next to mrt. There will also be shop houses directly below so there will be more hustle and bustle. Were there any bto that was undersubscribed in recent years? With the "Forest Town" theme, my major concern in this development is mosquitoes. If there will be many places with plants and trees, there will be some places where puddle of stagnant waters exist. This will be breeding ground for mosquitoes. Remember dengue fever in West Jurong. This is a new estate. I did spoke to some, even contractor... They kinda reluctant to shift to Tengah given the chance. They say so ulu and forest around many insects.